10Bet was established in 2003 with the goal of becoming a secure, entertaining online gambling spot, offering sports betting and casino games accessible via desktop and mobile devices. It has reached the top of the sports betting world since its foundation and became one of the biggest and the most respectable betting companies. From a user outlook, 10Bet casino is extra easy. The homepage shows you a simple selection of tabs to get you started- Promotions, Live Casino, Banking and Mobile – before a dynamic banner gives you a snapshot of the day’s latest offers. 10Bet has over two dozen jackpot games with the majority of them being jackpot slots. The most popular is, Mega Moolah jackpot. It features a four level Progressive Jackpot Game. When the game has been triggered, you will be guaranteed of a win. The biggest prize amount has £1,000,000! Other features of Mega Moolah slot include a Free Spin Bonus. When it comes to video slots, 10Bet casino’s features classics like Flowers and Fruit Shop as well as the new award winning music slot game Guns n’ Roses and the Adventures of Gonzo’s Quest, you can expect a diverse gaming experience in this casino. For casino classics diehards, 10Bet hosts a fantastic collection of card and table games. Roulette fans can choose between French roulette, European roulette and 3D roulette. Blackjack lovers enjoy a better variety of this game such as Blackjack Pro and Single Deck Blackjack or games with side–bet options like Double Exposure Blackjack and Super 7 blackjack. Video Poker gives excellent returns to players. Games like Joker Poker, Deuces Wild, and Jacks or Better. For classic poker funs there are games like, High Stakes Caribbean Stud or Texas Hold’Em. Other games include Stud Poker 3D, Coliseum Poker, Face the Ace, Oasis Poker, Split Way Royal. 10Bet offers players the chance to engage in a real casino game without visiting an actual casino. You get the casino experience from the comfort of your home. The high quality streaming allows you to enjoy every action, interact with dealers and other players. Live dealer games are; Baccarat, Blackjack, Roulette Dragon Tiger, Sic-Bo, Super 98, Live 3 Pictures, Live 7Up. Depending on the category you choose, Casino or Games, you qualify for different bonuses. The casino section features a magnificent welcome bonus package that can reach up to € 1010. In order to claim your bonus, you have to make three deposits and enter the bonus codes FIRST300, SECOND300 and THIRD300 respectively. As you have already presumed, the first three bonuses can reach up to €300 each. As for the fourth deposit bonus, it is a 10% refund of up to €110. The 10% cashback is based on your losses for the first 30 days after you have made your deposits. In order to qualify for the Welcome package, every deposit you make should be at least €20. The second and third deposit need to be within 7 days after activating the first deposit bonus. In order to qualify for a cashback, you must have wagered € 100 or more. You will not be allowed to withdraw your funds unless you meet the 35x rollover requirement within 15 days after claiming each of the bonuses. Keeping up with the latest information regarding promotions and bonuses offered by any casino is crucial to anyone looking to be a regular player. For this reason, we created this section to provide readers with the latest information about 10Bet Casino. Keep visiting this section to stay up to date. 10Bet casino has deals with a several software providers, including Betsoft, Microgaming, and NetEntertainment, offering players the best possible gaming options. To ensure you are not bombarded to the point of confusion by a list of 300+ games, 10Bet’s in-house software team has laid out its wares in an easy to-read fashion. Just like many leading online casino sites, 10Bet has done away with bland looking lists and displays each game using a series of boxouts. Not only does this set up give you an idea of what the game will look like before you start up, it also provides you with an overview of its main options. For example , if you looking to play one of 10Bet casino’s mobile games but don’t want to click on the mobile tab , you can simply look out for the mobile phone icon in the top right corner of each box to find out whether it’s compatible or not. By far the most spectacular usability feature of 10Bet casino is the ‘favorite’ option. When you find a game you like, you can hit the heart button underneath the game icon and the system will store it in the ‘my favorite’ tab so you can jump straight to it next time you log in. 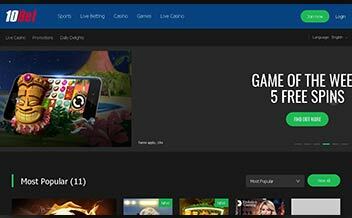 At the start of your 10Bet casino journey, you will be offered a series of options to the left of the homepage. 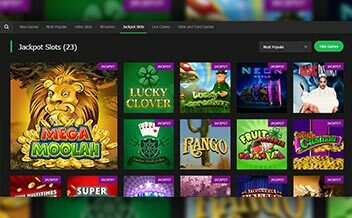 Ranging from ‘popular games’ to ‘slots’ and ‘live casino’, these headings allow you to easily find the style of game you are looking for. Beyond these general filters, 10Bet has incorporated a set of more specific search tools. At the top of the page you can choose to sort the games in order of popularity or list them in alphabetical order. Alternatively, if you are a fan of Microgaming or NetEnt, for example, you can simply choose to highlight games by certain software providers. For deposits, 10Bet accepts VISA and MasterCard credit and debit cards, with no fees for either. Alternatively players can deposit using PayPal, NETELLER, Skrill, ecoPayz, bank transfer or cheque. The same options are available when it comes to taking money out. Withdrawals take 3-5 days for card or PayPal transactions while NETELLER, Skrill and ecoPayz only take up 1-2 days. Processing time for bank transfer and cheque withdrawals are naturally slower and have a higher minimum amount of £ 25. This online casino can be accessed from UK, Germany, Austria, Netherlands, Denmark, Finland, Sweden, Norway, Japan, Canada, Greece, Italy, Russia, Poland, Czech, Portugal, Spain and Kenya. British pounds(£) , US Dollars($) , Euros(€) ,Brazilian Real(BRL) , Canadian Dollars(CAD) , Swiss Franc(CHF), Japanese Yen(¥) , Malaysian Ringgit(RM), Norwegian Krone(NOK) , Russian Rubies(RUB) , Swedish Krone(SEK) , Turkish Lira(TRY) , Vietnamese Dong(VND), Taiwan Dollar(TWD) and Polish Zloty(PLN). The languages supported are Chinese, English, German, Italian, Japanese, Korean, Norwegian, Portuguese, Romanian, Russian, Spanish, Swedish and Vietnamese. 10Bet is compatible with all operating systems (Android, Blackberry, Mac, Windows, Ios), so basically, you can load the mobile version via any tablet or smartphone. If you are into casino games, you might be delighted to know that currently the mobile version offers many games. The slot section is more diverse. You are given access to 14 slots featuring incredible progressive jackpots. You also have four live dealer variations at your disposal-Roulette, Blackjack, Baccarat and Casino Hold’em. The online casino is very user-friendly. It is easy for first time users to catch up with the new games and ideas. The navigation is good and the organization of the content is good because it has a search box that makes life so much easier. The homepage contains most important information-welcome bonuses, live casino, the most important bets of the day, combo of the day. 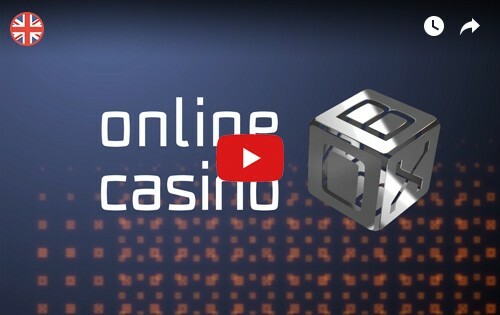 The 10Bet casino website is presented with a classic structure and navigation. The site has an extensive menu at the top to make it easy for players to navigate the page.  The mobile version also provides you with access to the promotions page. As many as 44 table games are available in the mobile version and these include video poker, keno and blackjack. Fewer game compared to the desktop and web versions of the casino. Think of the internet as a public place. Don’t have your details lying around. 10Bet takes security matters seriously and uses a number of measures including 128-bit SSL (secure sockets layers). 10Bet Casino upholds the security of its players with utmost importance. The casino has several security measures in place to ensure they protect their customers. The casino has also put in place the latest computer safety and firewall technology systems to enhance security. 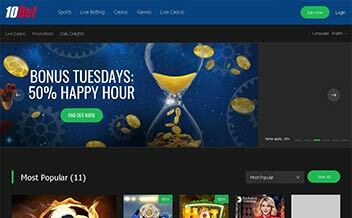 Players can reach 10Bet customer support through email, phone and live chat service. You will get the fastest response by contacting 10Bet live chat service for questions and problems with any payments, bets, 10bet lost login credential etc. Powered by a mixture of Microgaming and GamesOS software. Live casino environment takes up most of the screen to bring the casino experience to your room. Realistic visuals and a dealer to replicate the Las Vegas experience. It has limited game selection. Not the fastest load times available. There are many online casinos available on the market. However, there are very few that provide a huge collection of games, and their variations, the way that 10Bet does. If you have a fetish for casino games, then you should visit 10Bet website and have a ball. 10Bet is an amazing experience!